Reliable, energy-efficient natural gas heating and evaporative cooling for your home or commercial application, you can trust Braemar. For over 50 years Braemar has been comforting Australian families with superb high-performance heating and cooling products and has cemented its reputation as a trusted and innovative Australian company, and even more so, since becoming part of the Seeley International group. Braemar remains one of Australia’s most recognised and trusted brand names. Braemar products maintain unique design features and character from other Seeley International products and many former Braemar employees still work for Seeley International to ensure the projection of around 70 years of tradition into the future. Better performance – reverse cycle works less efficiently when outside temperature drops. Ducted gas efficiently remains steady. 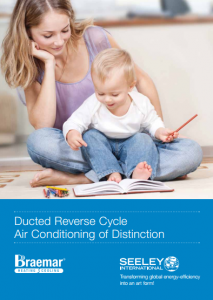 Instant warmth – ducted gas reaches desired temperature much faster the reverse cycle. 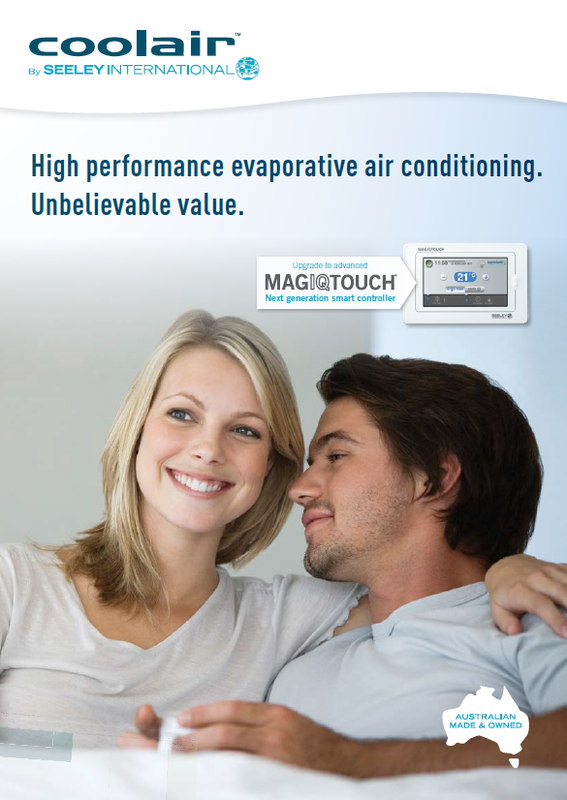 Comfortable air – Ducted gas won’t dry your skin and eyes. It’s a different kind of cosy warmth. 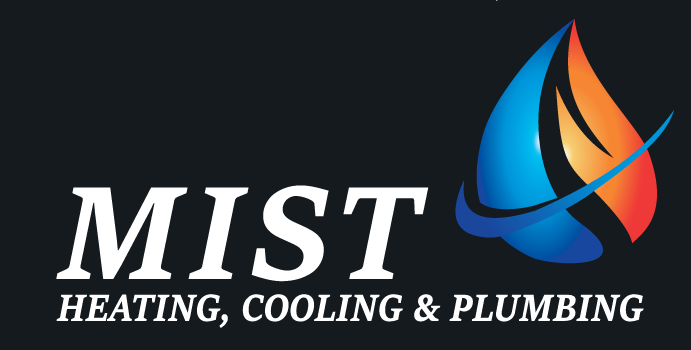 Members# of Climate Masters of Seeley International are heating and cooling experts, and provide a level of service you won’t get anywhere else. Every single Braemar ducted gas heating unit is made from premium grade materials and supported by a comprehensive factory-backed warranty. Our industry standard 7 year comprehensive warranty** for residential ducted gas heating also comes with a 10 year heat exchanger and burner warranty. 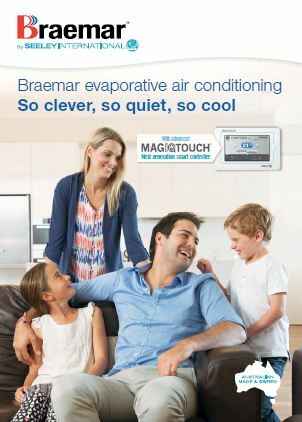 Smart, sophisticated and incredibly intuitive, your MagIQtouch controller makes operating your Braemar so simple. Discreet and modern design will blend seamlessly into the decor of your home. Standard with: 4 star, 5 star, 6 star and 7 star equivalent* ducted gas heating. Optional upgrade: 3 star ducted gas heating. Zoning is an optional extra. Access features such as child lock, night quiet mode^ and servicing information. Tap to change your 7 day program with 4 simple time periods (including a temporary over-ride function). Seeley International never stops striving to innovate and build the world’s most energy efficient heaters and air conditioners. Thorough air/gas mixing for clean, efficient combustion. Electronic ignition ensures dependable ignition. No standing pilot ensures no wasted gas when the heater is not in use. Combustion fan safely expels all combustion gases outside. The Modulating Gas Control in conjunction with the micro-processor controlled burner, efficiently burns the right amount of gas for any given situation. Multi level safety controls standard on all of our ducted gas heaters. Integrated control system monitors all heater, flame sensor and safety functions. Ducts can be installed in the ceiling or under the floor. Australia’s first and only inverter motor for ducted gas heating, available on the 7 star equivalent* range only. 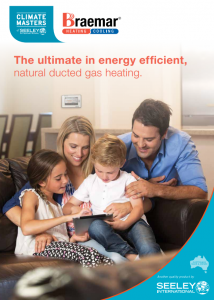 Boasting Australia’s first and only inverter motor for ducted gas heating, Braemar’s 7 star equivalent* ducted gas heaters have the lowest running costs – by far! 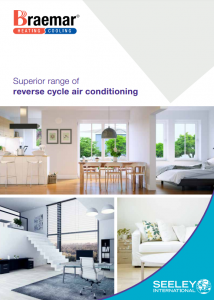 With energy prices escalating and our summers getting hotter, evaporative air conditioning has a significant and increasing edge on reverse cycle, when it comes to energy efficiency, performance and lifestyle. Manufactured by family owned Seeley International, Australia’s largest air conditioning manufacturer. 65 year history of Braemar excellence and reliability. NATA accredited test results substantiate superior product performance. Simple to install, maintain and operate. Perfect for alfresco living, with options for security vents so you can leave doors and windows closed. Whisper quiet operation. This Australian designed, world patented, free flow, water distributor ensures constant, even pad saturation increasing the cooling effect and outperforming competitor products. Dual directional – it can’t block! The world’s first high performance inverter axial evaporative air conditioner with the highest cooling capacity and energy efficiency.